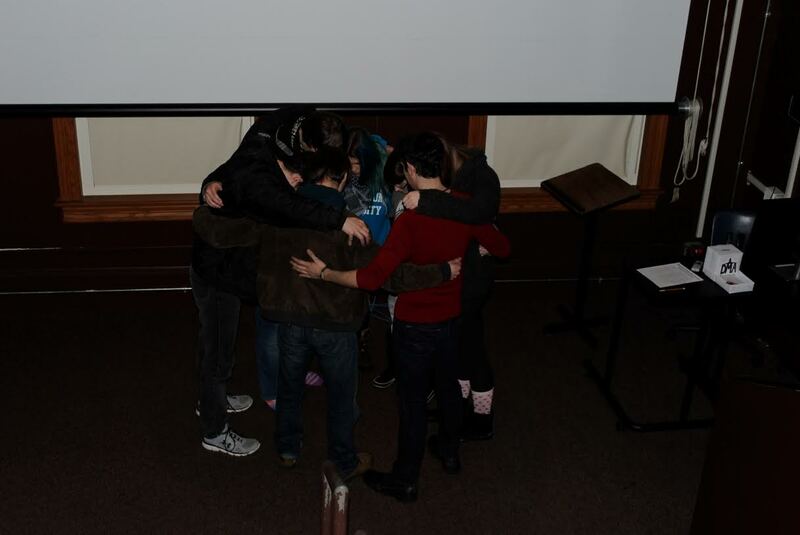 FAITH AND FELLOWSHIP: DMA students gather for a chapel service put on by Karli Medler. Junior Karli Melder created a weekly elective chapel credit opportunity for DMA students in the screening room of Becker Hall this semester in order consider DMA students’ scheduling conflicts. Melder said she hoped the DMA department could create its own faith-based venue to bring its students together to grow as a community. Lance Clark, professor of DMA film and communications, and Arthur Wilson, campus pastor, approved Melder’s idea of an informal chapel service. Melder said she was surprised with the turnouts so far. She said she hoped everyone would feel comfortable in the environment and open to growing in their faith together. Clark complimented Melder’s spiritual initiative. “I love her passion to obey God’s leading in her life and to follow through on seeing this become a reality,” he said. Melder emphasized how important the student leadership team is to the service. Melder said she hopes the underclassmen will pick up the torch after she and the other student leaders graduate. I will keep your chapel time in prayer. This is a wonderful idea and could lead to great growth throughout the HU community. It would be refreshing to see young women and men step up in their depaments, building each other up in Christ. This has the opportunity to help students prepare for their fields in which they have been called. Keeping HU in prayer. A HU dad.